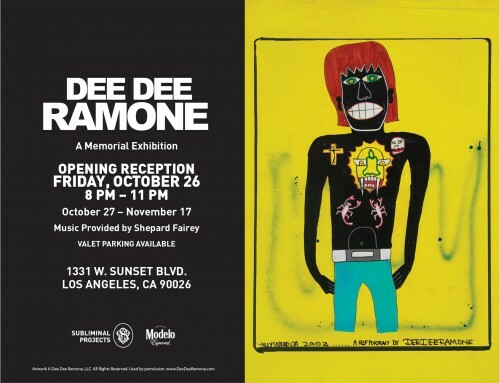 valuable contribution to the punk rock movement. their rebellious, dynamic, eccentric, and comedic aesthetic. 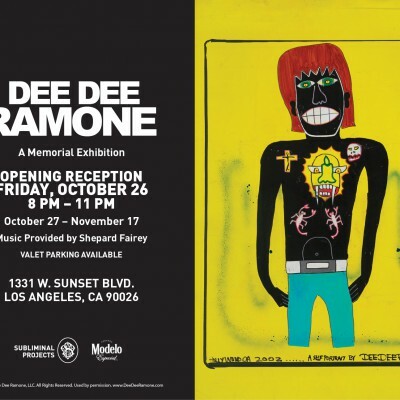 identity, artistic talents, and unique persona of the legendary Dee Dee Ramone. 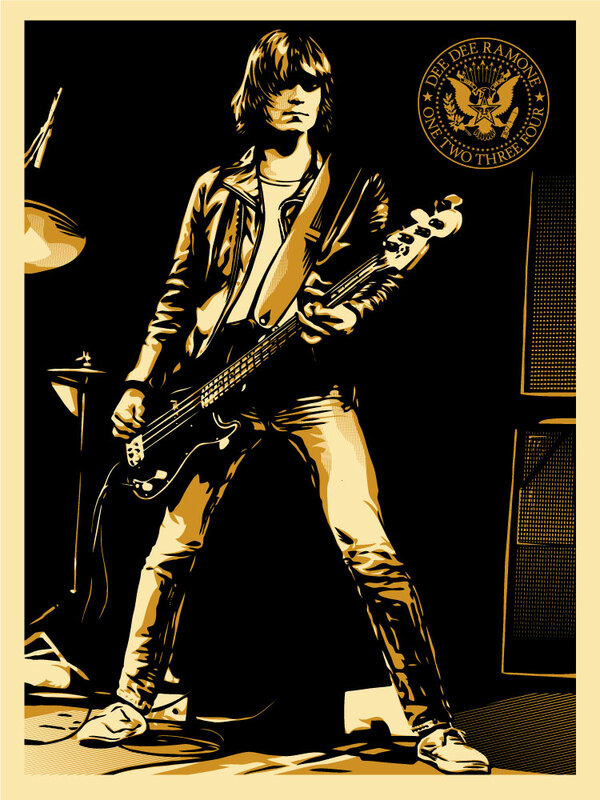 18 x 24 inch screen print by Shepard Fairey. Signed and numbered edition of 450. Based on photos by Jenny Lens. Price will be posted soon. A limited number will be available Friday October 26th at Subliminal Projects Gallery after 8pm.